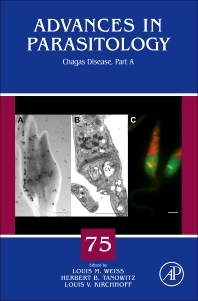 This thematic volume provides authoritative, up-to-date reviews addressing recent advances as well as an overview for the research and clinical communities on the endemic infection of Chagas disease. Lead researchers discuss epidemiology and control measures as well as various diagnosis techniques, treatments, and therapies currently being used. The text includes a history of Chagas disease and an outlook for the next century. Researchers in parasitology, tropical medicine and entomology. "One is struck by the quality and scholarship of the various chapters and the obviously efficient editing." "The policy of the editors of Advances in Parasitology to include reviews from any aspect of parasitology and the high standard of individual papers have resulted in this series of volumes becoming an indispensable source for students, teachers, and research workers." Louis M. Weiss M.D., M.P.H is Professor of Medicine (Division of Infectious Diseases) and Professor of Pathology (Division of Parasitology and Tropical Medicine) of the Albert Einstein College of Medicine, Bronx, New York. Dr. Weiss received his M.D. and M.P.H degrees from the Johns Hopkins University in 1982. He then completed a residency in Internal Medicine at the University of Chicago and a fellowship in Infectious Diseases at the Albert Einstein College of Medicine. Following this fellowship, he joined the faculty at Einstein where he is currently a Professor of Pathology and Medicine. His laboratory group has an active research program on parasitic diseases with a research focus on Toxoplasma gondii, the Microsporidia and Trypanosoma cruzi. 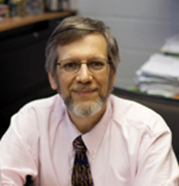 Dr. Weiss is the author of over 200 publications and the editor of 3 books on parasitology. He is a fellow of the American College of Physicians, Infectious Disease Society of America and the American Academy of Microbiology. Dr. Weiss is the Co-Director of the Einstein Global Health Center. Professor of Medicine and Pathology, Albert Einstein College of Medicine of Yeshiva University, New York, U.S.A.